Cutter brushes by Mack Brush, buy these brushes for hand painting coarse surfaces where a lot of coverage is needed, use on walls fences, and bill boards. 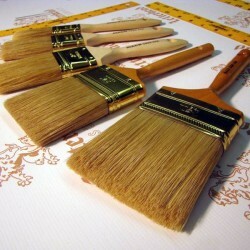 This is a traditional sign painter brush. 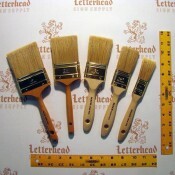 Sign Writer BrushFinest Grade made from Ox Hair with a Nickel Ferrules. Hair is Cupped and Chiseled and comes with a Red Handle. 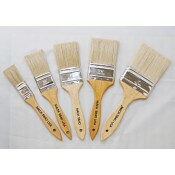 Set includes 1 ..
Sign Writer BrushFinest Grade made from Ox Hair with a Nickel Ferrules. Hair is Cupped and Chiseled and comes with a Red Handle..